On Wednesday 27th June, ‘Solis’ premiered at the Edinburgh International Film Festival as part of the festivals “Night Moves” programme. 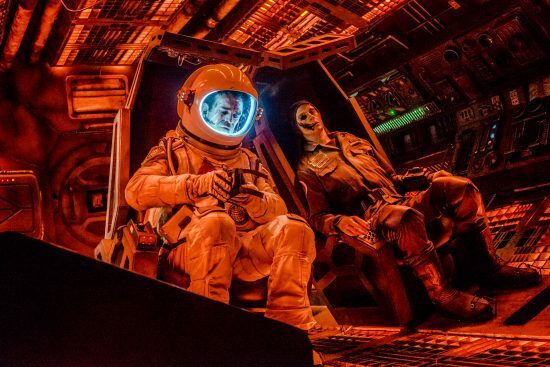 Astronaut Troy Holloway (Steven Ogg, from ‘The Walking Dead’) wakes after a space accident to find himself trapped in an escape pod drifting towards the sun, with his oxygen running out and a burn-up rate of 90 minutes. The only possibility of help lies with Commander Roberts (Alice Lowe), speaking to him through a weak radio transmission, who says she will lead a rescue party. As things get worse, Troy wonders if he wants to be saved, and the pair start to influence each other in unexpected ways.